With a likely chance of freezing rain during a winter storm predicted from Friday through the weekend, we will list cancellations and closures as we are notified of them. Canceled: TrueGrace Community Church chili, soup, and Cajun supper planned for Saturday at the Melvern Community Center, has been canceled. Rescheduled: The Lyndon PTO Olive Garden fundraiser scheduled for Friday has been rescheduled for Tuesday, Feb. 21, 2017. 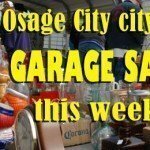 Canceled: Due to the inclement weather, the Osage City Chamber Of Commerce annual mixer to be held Saturday, January 14, at the Santa Fe Depot, has been canceled. The event has not been rescheduled at this time. 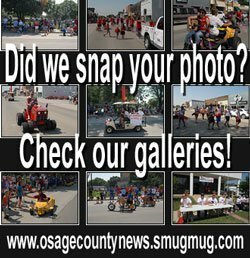 To share information about postponements, cancellations or closures due to winter weather, email [email protected], or post in the comment section below where everybody in Osage County can see it. 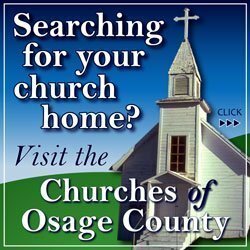 Keep warm and safe, Osage County. Remember to check the County Calendar for up-to-date event listings.